The next-gen Hyundai i20 is going to launch in 2020. It will get a revised bodywork along with some feature additions as well. Currently, i20 is one of the best selling models in its segment. 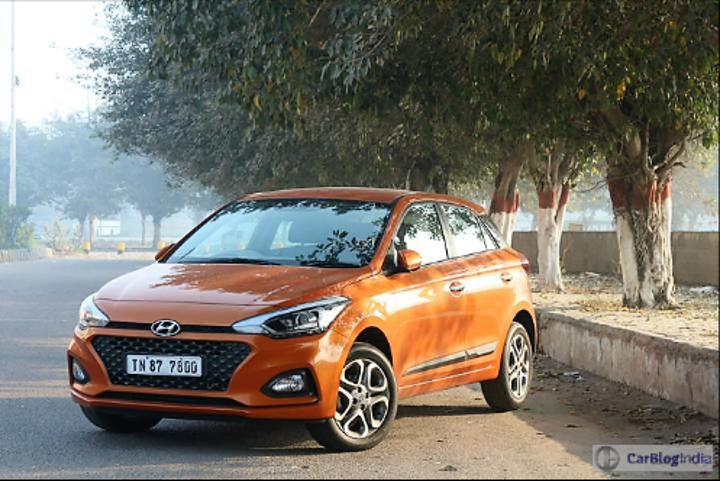 Hyundai i20 received a mild mid-cycle update in 2018, which made it the Elite i20. The previous generations were bulky on the edges without any sharp creases. The latest one on the road is sleeker and more sporty looking. Also, it is one of the most feature equipped hatchbacks in India. Meanwhile, we get the latest news that next-gen Hyundai i20 will launch sometime in 2019. The next-gen hatchback will get a newly designed bodywork with mild feature additions. The i20 already comes with many top-of-the-line features that include rain-sensing wipers, Automatic headlamps, rear ac vents, cooled glovebox and many more. So, the next-gen Hyundai i20 might get an electric sunroof and a revised touchscreen infotainment system. Interior design upgrades might include revised dashboard colours, improved upholstery and improved cabin insulation. On the exterior, it might get a new set of front grille and revisions to the front and rear bumpers and headlamps as well. The next-gen Hyundai i20 might also see a new set of alloy wheels. For safety, it already gets dual front airbags, ABS with EBD and ISOFIX as standard fitments. The next-gen will get ESP and reverse parking sensors in addition to the standard fitments. The top-end trims get 6-airbags, reverse parking camera and auto headlamps too. Mechanically, the next-gen Hyundai i20 will continue with the same specifications. The 1.2 Litre MPi petrol unit chugs out 82 HP and 113 Nm paired to a 5-speed MT along with a CVT gearbox. The 1.4 Litre diesel engine gives out 90 HP and 219 Nm torque. The diesel engine pairs up with a 6-speed manual gearbox with an optional of an AT unit. Both the engines will now be BS-VI compliant. The prices of Hyundai Elite i20 start from Rs 5.43 Lakhs and go up to Rs 8.24 Lakhs for the petrol variants. The diesel variants start of at Rs 6.81 Lakhs going up to Rs 9.23 Lakhs (prices ex-showroom Delhi). Also Read: Next-Generation Hyundai Creta India launch timeline revealed! Currently, the Hyundai i20 goes against Honda Jazz and Maruti Suzuki Baleno. The next-gen will also compete with the upcoming Tata 45X premium hatchback. Currently, it ranks second in its segment, falling many units short behind the Baleno. Seeing Tata’s success with Nexon and Tiago, the next-gen Hyundai i20 will receive a stiffer competition from the 45X hatchback.